This is the brightest lightbox in the Diamond Range. With 5 lights it emits a powerful, even luminosity giving a perfect spread of light which means that you can get a quick treatment at a greater distance. 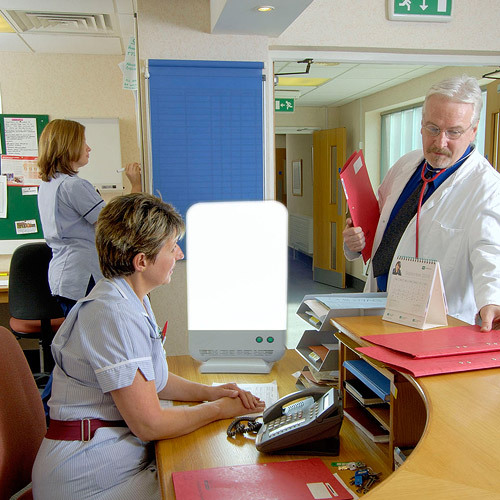 Excellent for individual or group use, this is the lightbox for people who want to be able to move around and still get a full treatment in the fastest time possible. 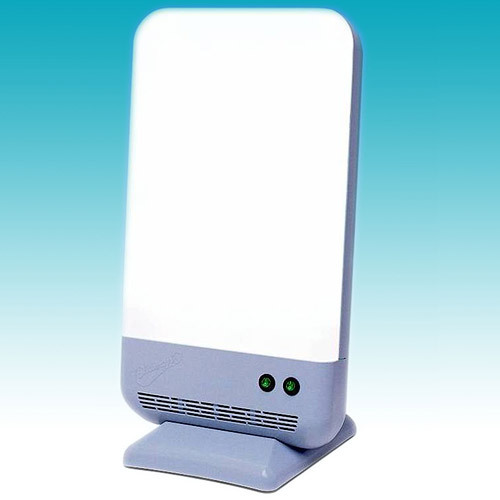 The Diamond 5, the ranges most powerful SAD lightbox and gives fast treatment for SAD. A 10,000 lux lightbox: Treatment time 20 - 30 minutes. Powerful 5 Light model for fastest treatment. Advanced curved shape focuses the light for maximum effect. 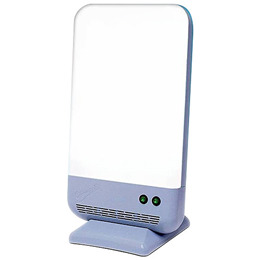 Smooth opal diffuser gives a beautiful even luminosity. A lightweight box fitted with a handle for ease of use. It has two switches to vary the light output - you can have two, three or five lights on. Recommended treatment time is approx. 30 minutes but many people find that 20 minutes is sufficient. 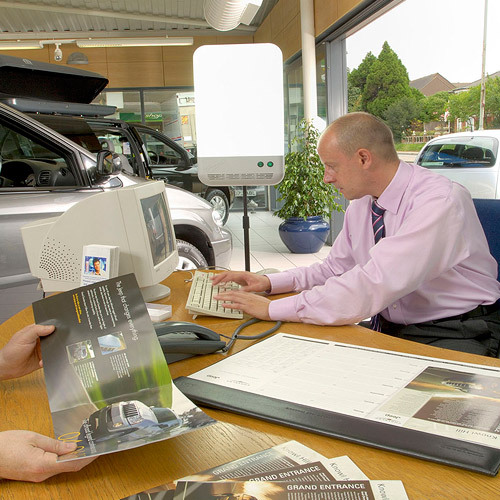 All lightboxes are guaranteed for 3 years (tubes 1 year) against manufacturing defect from the date of purchase. For warranty returns see back of instructions manual. Not compatible for use in the US. Below are reviews of Sad Lightbox Co. Diamond 5 - SAD Light Box by bodykind customers. If you have tried this product we'd love to hear what you think so please leave a review. I've been using this for 2 years now, just over the winter months. I sit next to it and watch the news for 15-20 minutes in the morning and can honestly say I haven't experienced SAD syndrome since. I actually feel boosted after using. Thoroughly recommend.